O Captain! My Captain, Please Give Me Something To Drink From This Brand? 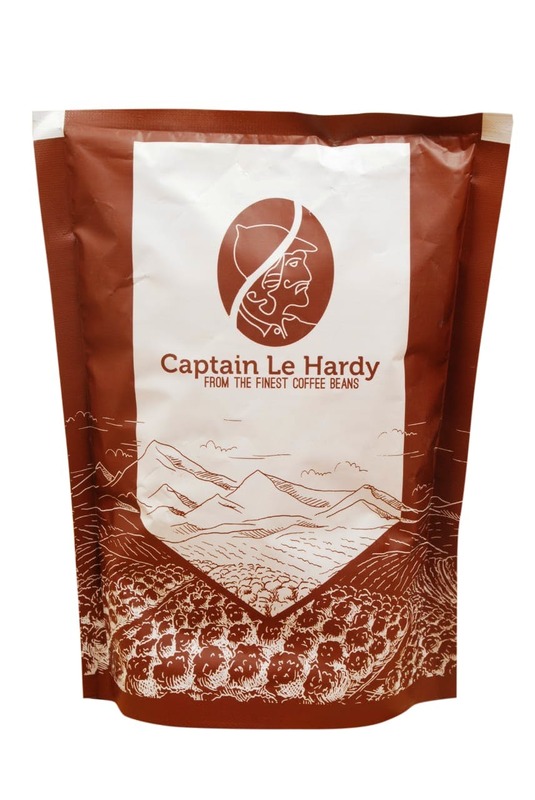 Captain Le Hardy makes premium instant coffee powder and fruit juice concentrates, so you can have a drink for any time of the day. Before you throw away your device in disdain, hear us out. Captain Le Hardy sources, washes, and processes the coffee beans from Coorg and sells it as instant coffee powder, and decoction too. Phew! The coffee and other drinkables (we’ll get to that) come from the Pallikad Estate and can either be picked up on site or here in Bangalore. Don’t knock the instant coffee till you try it, as the blend produced has a relatively small amount of chicory. A 250 gram pack will cost you INR 180. Of course all you purists can enjoy their 80-20 or 70-30 blend, ready to pour decoction too! Great for cold coffee we’re told, a 200 ml pack of either blend is priced at INR 70. Helping us with a drink for any time of the day, they also make squashes and (non-alcoholic) wines in experimental flavours. The former is mostly distilled using locally available (and few exotic) fruits and flowers. Australian Guava, Hibiscus, Ginger-Raisin, Banana, and even Bird’s Eye Chilli are some of the flavours of wines that they sell, at INR 375 for 750 ml. If you’d rather try their squashes, they have similar flavours, but also classics like Passionfruit and Pineapple for around INR 300. The coffees are home delivered, but if it’s a bottled drink you want, you’ll have to pick it up at one of their centers. Right now the only way to enquire about their products, or even order something is through Facebook. A website is in the works, so hopefully for not too long! Picking it up from their Coorg Estate will work out slightly cheaper than if you did from Bangalore. Also, their seasonal wines are only available till stocks last.